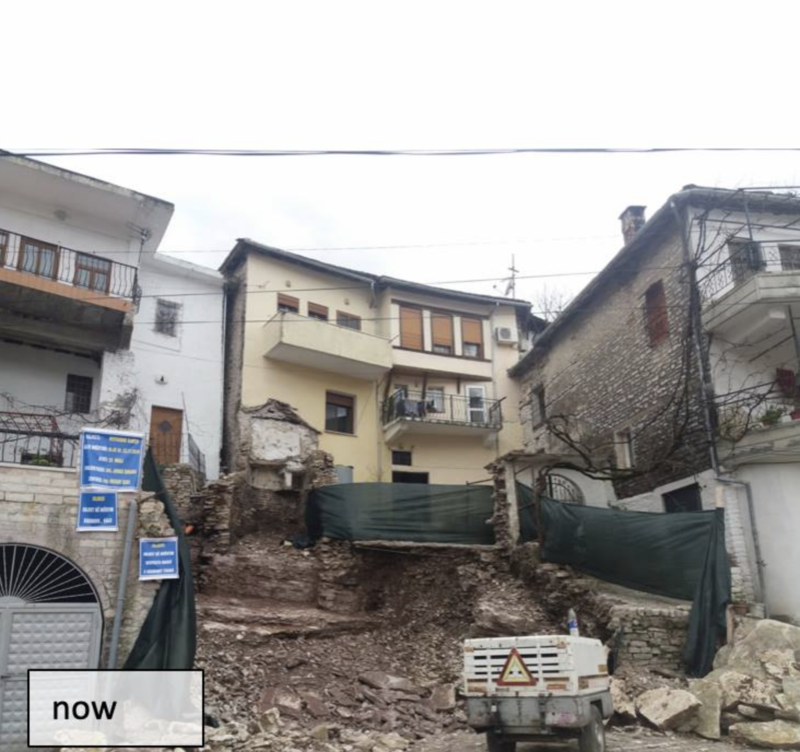 In a Facebook post, cultural heritage NGO Cultural Heritage without Borders denounced the destruction of a protected cultural monument in Gjirokastra. It takes long time, skill and some thought to see how to save and preserve! It takes couple of hours to destroy 100 years of history! Behind Taho are other already altered/lost buildings; one on the right hand side; white and deformed is a 1st category Xhuvi Ropi (ex Fico) monument. When you restore you engage and employ a craftsperson; you sustain a tradition of building; you preserve history and values! When you destroy, you erase the tradition of building; you destroy our history; for no one ever to know how it was! The historical center of Gjirokastra is protected UNESCO World Heritage and no 1st or 2nd category monuments may be destroyed. A previous report of Cultural Heritage without Borders noted that 35 monuments have turned to ruins, 357 monuments have undergone illegal interventions, while 170 lost their monumental character and 122 others had been totally transformed. The Albanian government has been frequently complicit in the destruction of the historic center of Gjirokastra. In 2015, the Rama government started a tender to create a “bypass,” which would violate the protected zone. Meanwhile, the historical buildings are continuously threatened by fire, as the streets are often to narrow for fire fighters to reach the houses.